Revolyn Review: Effective Weight Loss Pill or Total Scam? Having read a few articles about Revolyn, it felt quite intriguing. Would this be indeed a revolutionary product? Would it help one slim down as effectively as it claims to do? What if it’s just pseudo-scientific talk and no real action? So many questions popping – therefore, it became imperative to look for answers. Consequently, all the findings led to writing this comprehensive review, that’s hopefully going to help people decide whether Revolyn is a good choice for them or not. Revolyn was created by a European manufacturer based in the UK and is marketed as a dietary supplement, available to order online. It is made entirely with natural ingredients, with some of these being well known in the weight loss world, while others are more of a novelty. Its main goal is to stimulate the metabolism and the energy producing processes, with actual fat burning as a secondary effect. In addition, it is said to suppress the appetite. Thus, it aims to be a helpful aid in diminishing one’s adipose layer. The product itself isn’t a standalone weight loss solution – it is meant to enhance one’s efforts and to power up the results of exercise. Apparently, Revolyn is the new version of Nuvoryn, a supplement made by the same company but discontinued for unknown reasons. 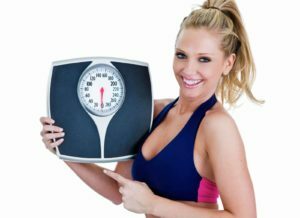 Thus, you can better understand the nature of this product – it is meant as a support when you are trying to lose weight through different means. You will see below whether it can make you lose weight all by itself or not. There is more about it, though. Since it is not hormone-based, it is suitable to both men and women, without creating any disturbances. Its main action relies on the stimulating, energizing ingredients in it. Now, let’s discuss the ingredients above. Sure, it all looks good, as it seems to be 100% natural – great news for the health-conscious consumers. Some of these, like guarana and green tea, act like metabolism boosters, but only for a limited period of time. Ceasing the consumption will put an end to this effect and so you may put the weight back on. Siberian ginseng is a renowned Adaptogen, meaning it helps the body adapt to stressful situations and rebalance itself. Pomegranate extract, although it hasn’t been researched well enough, seems to spur weight loss, prevent oxidation and protect the immune system. Finally, guarana may have a satiating effect, limiting one’s food intake. The worst part about this ingredient list is that no quantities were given, nor concentration rates. Since there are no amounts given, it is impossible to tell whether these ingredients can really be effective or not. The manufacturer’s claims are thus questionable. Thee are no side effects mentioned. This could be worrying to some people, but if we are to look at the ingredients, there isn’t anything there to pose real problems. All of those are natural, harmless and totally beneficial to health, as confirmed by numerous studies. In the worst case scenario, you won’t get any benefit from it. However, if you happen to have a sensitivity to stimulating substances, you may not react well to guarana or green tea, for example. Still, these probably aren’t in a concentration high enough to cause any side effects. If it does feel to you like you’ve consumed caffeine and you’re feeling shaky, dizzy etc., then stop using this product. Allergies represent a risk – you may be allergic to one of the ingredients. Such cases are rare, but you never know. Discontinue the use at any sign of abnormality. Revolyn is similar to most green tea fat burners, yet much more complex, since it also contains guarana, ginseng, resveratrol etc. All in all, it is supposed to speed up the metabolism, thus helping the body burn more fat on its own. This may be a bit misleading though – Revolyn is the kind of product that can provide results when the consumer takes action. It means you have to exercise, eat less ad make better choices overall to trigger some really visible weight loss. After all, it is advertised as a weight loss enhancer – not a weight loss agent per se. It can indeed preventing you from eating too much, being an appetite suppressant. Sometimes, to some people the stimulating effect alone is enough to delay their hunger. Revolyn relies on a series of natural ingredients that act on the metabolism, on the fat deposits and energy levels. Some of these are also appetite suppressants, like yerba mate. In conclusion, it can make one eat less and avoid the too many snacks throughout the day. You can experience such effects if you consume the given ingredients in their natural state, for several days at least, to convince yourself. Revolyn aims to be the more convenient form to enjoy healthy nutrients. After all, it seems to be a fine selection. It acts on the metabolism and its processes that trigger fat burning. When the metabolic rate is higher, the body burns more fats in a natural way – especially the fats stored within. The manufacturing company says it will also clear tryglicedrides. Through its energizing ingredients it will enhance your energy and give you an improved mood, day by day. This might in turn increase your appetite, therefore you have to watch this. In certain cases it may have an opposite effect – it all depends on the person. There are no clinical studies concerning Revolyn itself. Yet, each of its ingredients is a natural and safe one, benefiting of substantial research and evidence. For example, you can look into the matter of green tea and all of its benefits, including metabolism boosting, fat burning and energy. Also resveratol is a much praised compound that prevents cell oxidation (is therefore an antioxidant), fighting premature aging and supporting health. All in all, the ingredients in this product are commonly found in various supplements to be purchased in health stores and pharmacies around the world. They’re totally safe, but there is mild concern in regards to the green tea and guarana in the product. If these extracts are in large quantities (which we don’t know), they can have an effect similar to coffee. Thus, if you are caffeine sensitive, you may experience the specific side effects. However, the stimulating action mostly relies on compounds like theanine, theophylline and theobromine, which give a boost to your heart, brain and muscles in a different way than caffeine does. As stated before, Revolyn can boost your weight loss capacity. Therefore, the results will depend on your actual efforts, performance and possibilities. 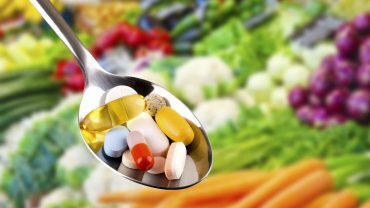 Some have claimed it rather feels like taking a vitamin supplement, not a weight loss pill: it gives them more energy and an improved mood, but it does not have other major effects. Others claimed it suppressed their appetite. This does not happen to everyone and it is perfectly understandable why. The stimulants that act like caffeine can delay hunger. Thus, you’re eating less often and, as the metabolism works more rapidly, you’re burning more lipids in the meanwhile. Customer reviews are varied and, judging by these, one cannot tell what is true and what isn’t; the only sensible conclusion is that Revolyn can work differently from one person to the next, based on their lifestyle habits, slimming efforts, diet and so on. Everyone is curious about the results, for sure. After having read the testimonials available, it was hard to come up with a definite conclusion regarding Revolyn. Here’s what matters first of all: for this to work, you must take it as recommended– twice a day – once in the morning and the second dose in the evening. You can lose 25 pounds in one month or even more than that. Results are quick to show, you should actually drop pounds starting with the very first month. Remember it is imperative to take the pills every day. A metabolic boost is what many large people need, even if they think that being overweight is genetic in their case. Revolyn can be taken by men and women alike, of adult age. It is suitable to people who are willing to put effort into losing weight, by exercising and dieting. It is forbidden to pregnant women and diabetics. It is made in the UK and distributed via the Internet. How should I take these capsules? Have one capsule in the morning and one in the evening, with a full glass of water. It can be on an empty stomach or with food. Can I get my money back if I’m dissatisfied? There is no money-back guarantee, therefore you will not get anything back if you are not pleased with the product. Revolyn information is far from being complete and thus it is hard to determine whether it’s effective or not. It is the kind of product that interferes when you are already doing significant work for your excessive weight problem, such as exercising, eating healthier etc. However, these things alone, like regular workouts, can have the desired effect on your frame. While you may be thinking it’s the supplement that gets you to lose weight, it could be the actual effort you put into it. It could make some people optimistic, as it boosts their metabolism and gives them more energy, but this can be achieved with a natural stimulant too, not necessarily with something labeled as a slimming product. Drinking green tea, taking green supplements for energy, consuming ginseng or guarana pills is bound to have a similar effect. To make sure you’re dropping some unwanted pounds, you should consider a product with a proven action. When you want to lose weight without an exaggerate effort and be sure of the results, better buy Phen375. This pharmaceutical-grade product for slimming affects the metabolism I a positive way, speeds up fat burning and melts stored fat in every area, including the abdomen. It does this thanks to its high ingredient concentration and to the compounds that mimic phentermine. Besides, you’ll find it has many more testimonials from customers, including fitness and health enthusiasts. There isn’t that much of a risk to waste time and money with Phen375. Should you buy Revolyn yes or no? Overall, Revolyn is like a substitute to several natural supplements for health; it is like eating grapes for resveratrol, pomegranates for antioxidants, taking ginseng and drinking green tea plus yerba mate and more. These are all recommended in a healthy lifestyle. However, it’s only meant to give you extra quantities, not to replace anything in your diet. The problem is that we don’t know the concentration for these ingredients, therefore it is impossible to tell if this pill is going to make a big difference or not. Additionally, the manufacturer does not offer a discount and there isn’t much information available from official sources, which makes Revolyn hard to trust. Still, by now the product has been tried by many and it certainly does not do harm. Considering its ingredients, there should be no concern; they’re all natural and completely beneficial. When added to a serious diet program, it may act as an aid. However, taking this alone will not make much of a difference, if any. It can be a hit and miss, therefore no clear verdict can be given.